Yum! 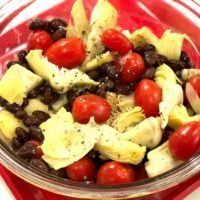 I love tomatoes, black beans and artichokes all packed with anti-aging, health-promoting nutrients. Black beans contain anthocyanins, tomatoes contain vitamin A and artichokes have prebiotics essential for gut health, an organ which plays a critical role in your immune system. Sometimes I’m beat and just can’t muster up the energy to make anything that takes longer than 10 minutes! 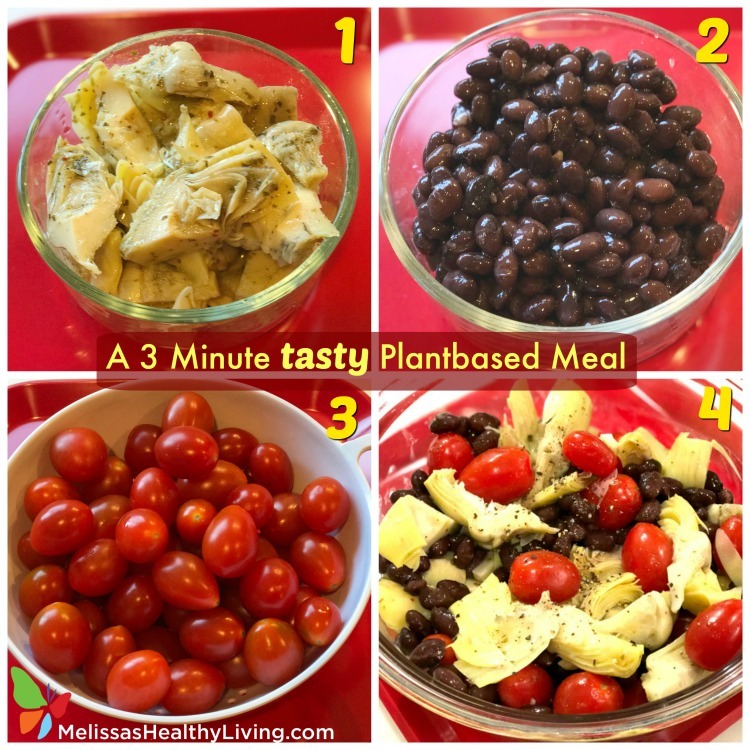 This healthy plant based meal is perfect for meatless Mondays or any day of the week! Toss ingredients together -eat and enjoy! With shaved parmesan this also makes a great dinner party or book club dish!